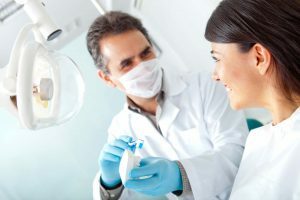 General dentistry includes services designed to prevent and detect any signs of dental disease and restorative treatments such as Fillings, Check-ups, Cleans and Root Canal Therapy. As part of our preventative approach towards dental care, Newcastle City Dental is equipped with advanced diagnostic equipment. Any small signs of disease can be quickly and precisely identified and treated using the very latest techniques. How Frequently Should I Have Check-ups and Scale and Cleans? At Newcastle City Dental, we recommend you and your family have a check up and clean every 6 months this helps maintain and protect your dental health. During your check-up, our dentist will thoroughly examine your teeth, gums and oral tissues, comparing the results with your last visit. Digital dental x-rays are taken periodically to check areas not visible to the naked eye. Your scale and clean is essential for maintaining healthy teeth and gums, removing tartar from your teeth that could otherwise cause diseases and decay. This detailed and cost-effective approach towards your dental health will quickly detect any problems so we can treat them sooner. What Type of Fillings are Used? Teeth damaged by decay or trauma can be fully restored using the latest dental fillings. As an amalgam-free dental practice, we use advanced porcelain and composite resin fillings. These filling materials are highly biocompatible, restoring strength and structure to a damaged tooth in a way that is virtually invisible as the shade of your new filling will be closely matched to your natural tooth. Composite resin fillings are applied directly to the tooth and are ideal for restoring small to medium-sized cavities. Our customised porcelain fillings are made using advanced CAD/CAM technology. This technology provides a durable and beautiful, precision-fitted filling that is ideal for restoring larger cavities. If you have a tooth that is badly infected then root canal treatment may save it from extraction, removing infection from deep inside the tooth. This part of the tooth is called the pulp and contains nerves and blood vessels which are essential when a tooth is developing. Once an adult tooth is fully developed, it can survive perfectly well without the pulp. During this treatment, the pulp will be removed and the area is thoroughly cleaned and sanitised. Afterwards your tooth can be fully restored, normally with a crown. Root canal treatment may feel a little different from having an ordinary filling and will relieve the discomfort of a bad tooth infection. A tooth extraction may be necessary if a tooth is too badly damaged to be restored or is infected and must be removed for the infection to drain. The procedure to remove a tooth is very quick and our dentist can also discuss possible choices for replacing missing teeth. We have a range of options that will restore full functionality and aesthetics. Wisdom teeth may need removing if there is insufficient room in your jaw to accommodate them. Common problems include impacted wisdom teeth, where they try to come up underneath existing teeth, or partially erupted wisdom teeth that are prone to infection and decay. If you do require a wisdom tooth removal, we will ensure it is as comfortable as possible and we can provide additional sedation if required.